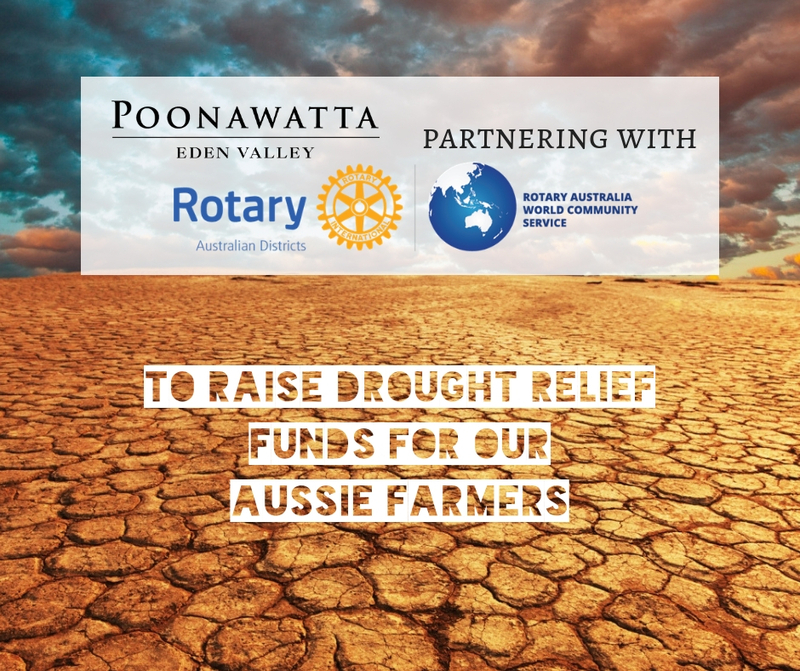 One of our clients – Poonawatta have partnered with the Rotary Australia Drought Relief Response to raise funds for drought affected communities through the sale of our 2014 Poonawatta ‘The Cuttings’ Shiraz. The goal is to raise over $33,000.00! At $49 per bottle the 2014 Poonawatta ‘The Cuttings’ Shiraz (Halliday Wine Companion 95 points) can potentially raise over $33,000 to support drought relief activities – with all profits donated to the Rotary Drought Relief Response – with your support! Minimum purchase is a 6 bottle case ($294) delivered Freight Free across Australia. So, please share this offer with friends, family, workmates etc. And you can assure those that you share this with that we will not harvest contact details. Joining the Poonawatta Club is opt in, so one-off sales can be made with absolute privacy. If 6 bottles are too many, feel free to put together an order with others. The Cuttings was recently reviewed in the 2019 Halliday Wine Companion. So, what motivated Poonawatta to do this? Poonawatta is a mixed farm, with only 10% of the property planted to vineyards. While conditions here are far better than many places in rural Australia, They have only received 50% of our average rainfall, and like many other local farmers, are needing to de-stock and purchase hay. It was through making these decisions that we were motivated to do what we can to help those who have endured years of crippling drought. About the Rotary Drought Relief Program. Rotary’s program uses a ‘whole of community’ approach, completely run by volunteers and does not incur any overhead or administrative expenses. This holistic aid program includes distributing vouchers to farming families for essential supplies from local small businesses to stimulate local economic growth and organising community ‘Family Days’ to promote mental health and social wellbeing. The ‘whole of community’ approach recognizes that in times of drought, entire communities –- from farmers, graziers, small local businesses to families and children –- are all in it together. A key focus of the program is the mental health issues resulting from the longevity of the drought, with ‘wellbeing’ rather than ‘welfare’ being foundation to the ‘whole of community’ approach. Previous post How’s 2018 vintage looking?